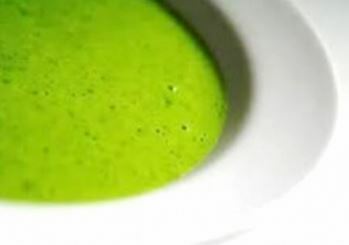 Creamy pea and mint soup: This creamy pea and mint soup is a classically English. The English love their soups and often enjoy a simple bowl of soup for lunch. 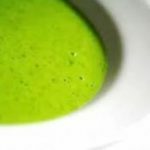 Creamy pea and mint soup works very well when made with fresh or frozen peas. However, you should always use fresh mint. In fact, we are a bit obsessed with using only fresh herbs here at The Big Dream Factory kitchen. Melt the butter in a large saucepan, add the onion and cook for 5 minutes until soft. Add the peas, stock, and sprigs of mint. Bring to the boil and cook for about 20 minutes if using fresh peas (5 minutes if using frozen). Remove from the heat and purée in a blender. Return to the pan then add the seasoning and extract. Place over a low to medium heat and add the cream. Heat gently without boiling, stirring constantly.